The highly anticipated Lexus LC flagship coupe has launched in Australia today on the backdrop of record May SUV sales results for the fast-expanding Japanese luxury marque. A contemporary interpretation of the finest traditions of the grand tourer, the stunning LC represents a remarkable transformation of the widely acclaimed LF-LC concept from the 2012 Detroit Auto Show into an uncompromised production car with the boldest design yet from Lexus. 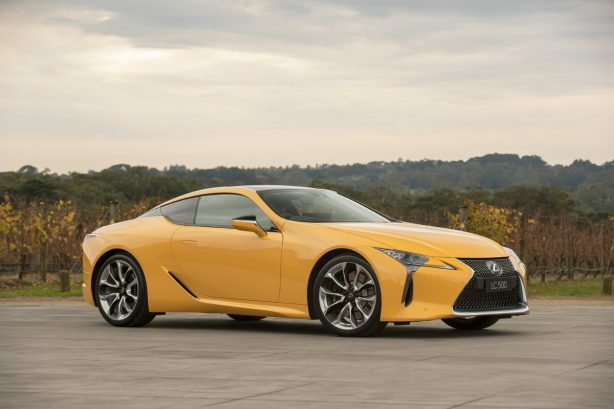 Positioned at the top of the Lexus line-up, the LC is the brand’s first serious contender in the luxury grand tourer space, rivalling the likes of BMW 6 Series coupe, Mercedes-Benz S-Class coupe, Jaguar F-Type and Aston Martin Vantage. 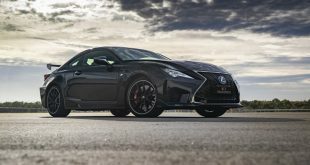 Longer, wider and lower than the Lexus’ other high-performance coupe, the RC F, the LC range comprises the V8-powered LC 500 and 3.5L V6 petrol-electric hybrid LC 500h, both of which keenly priced at $190,000 plus on-road costs. 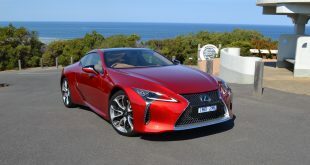 In the segment, the pricing structure puts the LC above V6 variants of the BMW 6 Series and Jaguar F-Type but below the Merc S-Class coupe and Aston Martin Vantage. 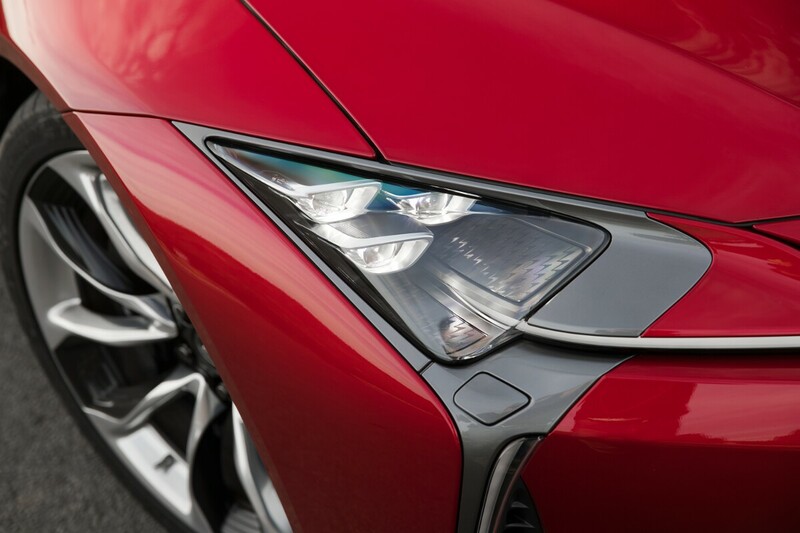 According to Lexus, many of the Takumi (master craftsman) and skilled workers who built the LFA supercar transferred to the LC project, with their precision approach enhancing both the intricate details of its fittings and finishes and also in the way the car rides and performs. 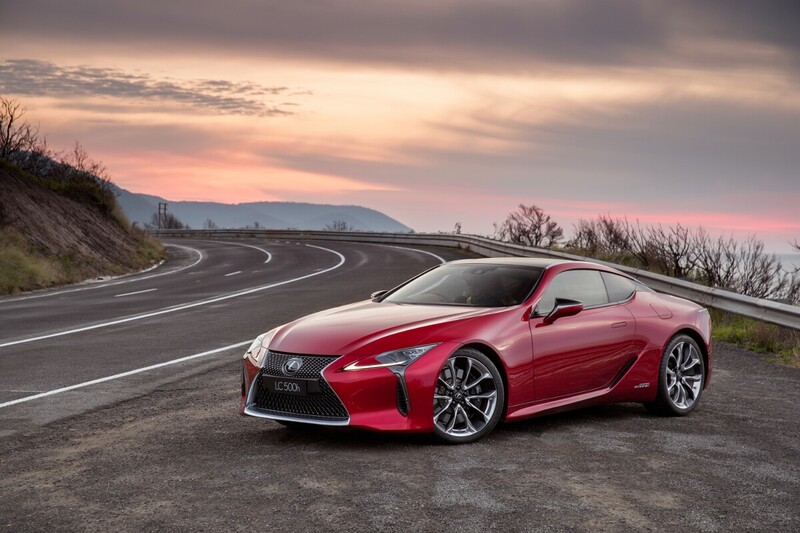 A new GA-L (Global Architecture – Luxury) platform is pivotal to the new LC’s dynamic performance, preserving the LF-LC’s defining low roof and bonnet lines while enabling a low centre of gravity and highly rigid body. 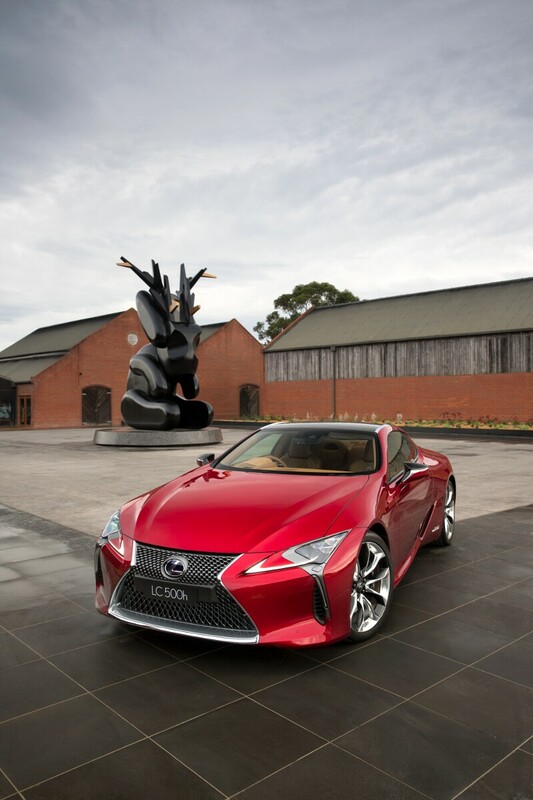 The LC is claimed to be the most torsionally rigid Lexus ever built, and that includes the LFA. 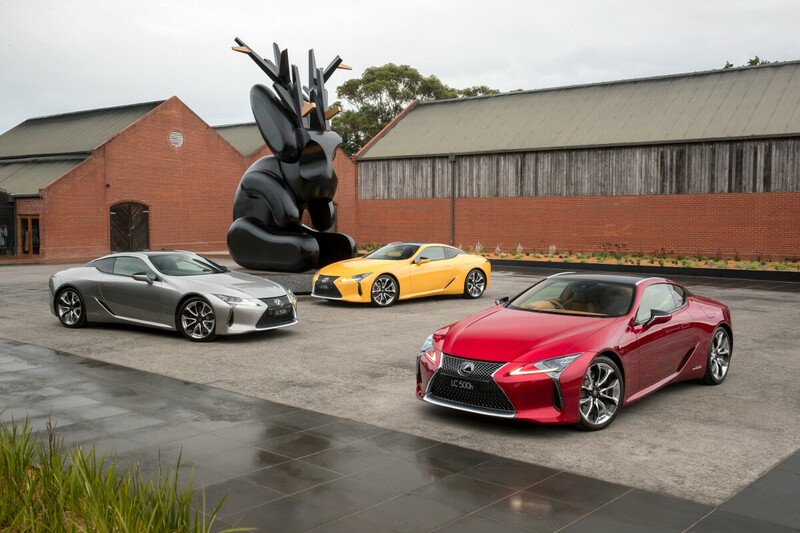 Advanced materials and fabrication techniques used in the LFA – including ultra-high-tensile steels, aluminium and carbon fibre reinforced plastic – are employed in the LC’s construction, ensuring an optimum combination of strength, light weight and balanced front-rear weight distribution. 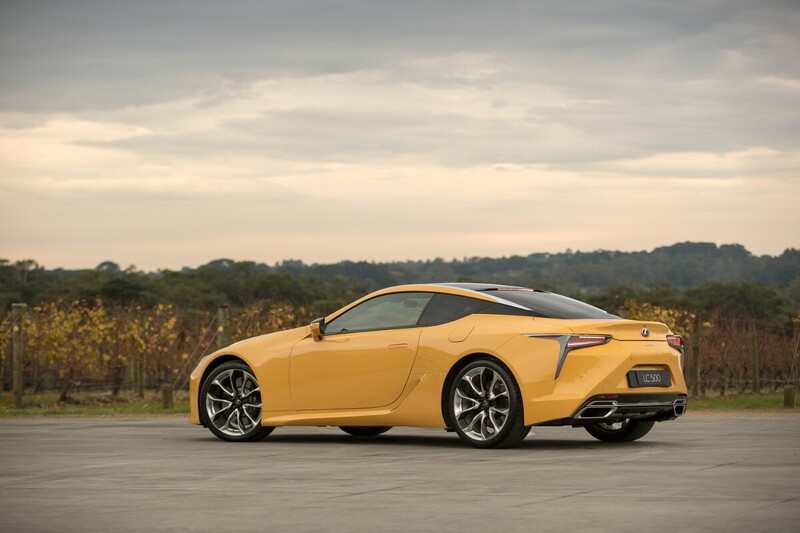 The high-revving 5.0-litre V8 found under the bonnet of the LC 500 features direct injection and an “exhilarating exhaust note”. 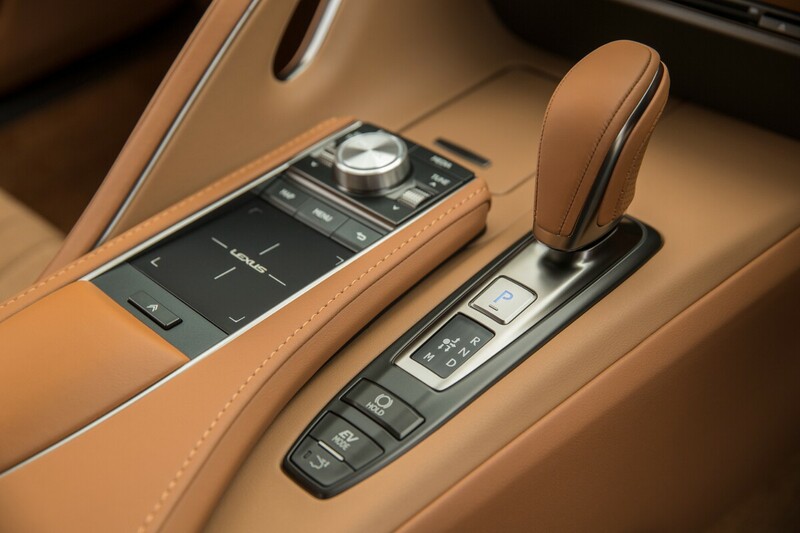 It is matched to the world’s first 10-speed direct-shift automatic transmission for a premium car, delivering maximum power of 351kW @ 7100rpm and peak torque of 540Nm @ 4,800rpm. 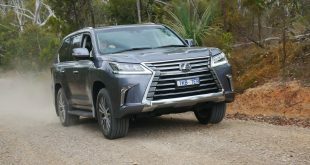 Fuel economy is rated at 11.6L/100km. 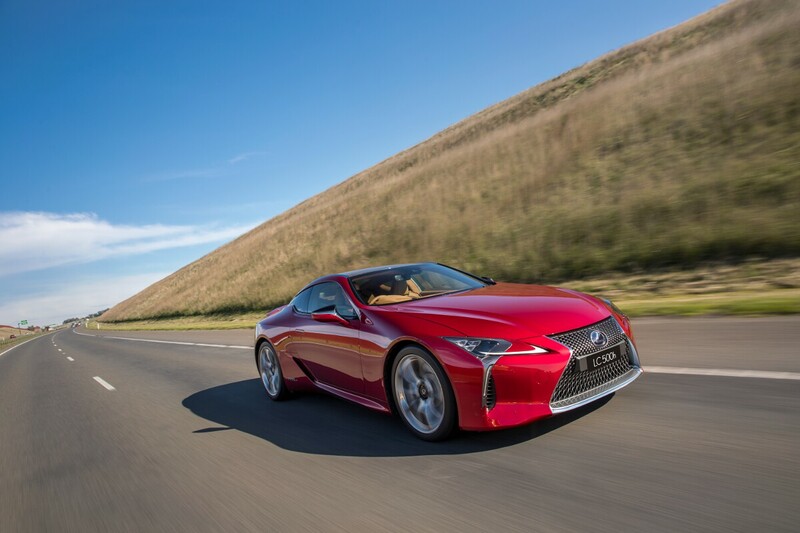 The hybrid-powered LC 500h delivers combined output of 264kW from its 348Nm 3.5-litre V6 petrol engine, 300Nm motor generator and compact, lightweight lithium-ion battery – the first of its kind in a Lexus. 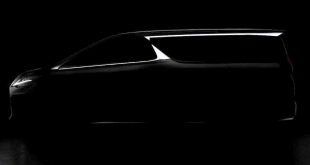 It sips just 6.7L/100km in the combined cycle fuel economy. 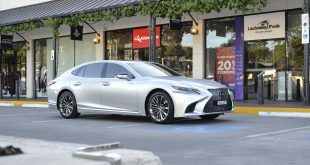 Lexus Australia chief executive Peter McGregor said the new LC advances Lexus as a luxury lifestyle brand dedicated to creating cars with exciting, emotional designs and exhilarating performance. 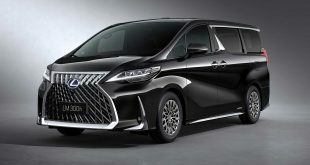 “The LC demonstrates that Lexus has the freedom and confidence to be daring with its cutting-edge design and a contemporary approach to luxury based on master craftsmanship,” Mr McGregor said. “The V8 complements the finely tuned handling qualities of the coupe’s chassis by delivering the acceleration, responsiveness and high output customers expect,” he said. 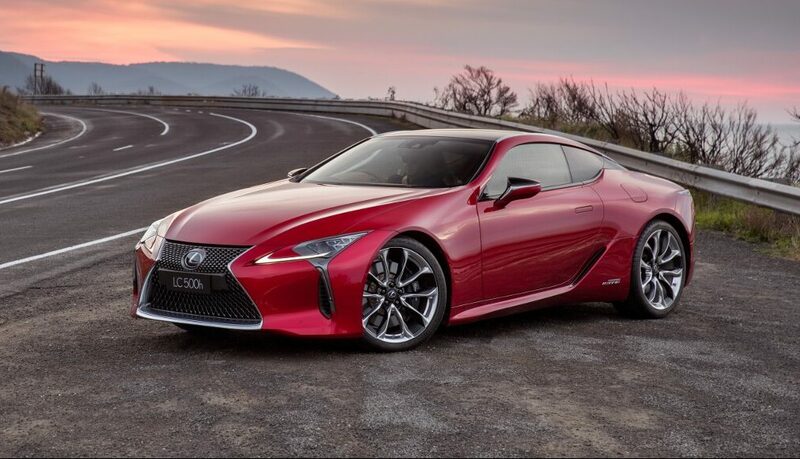 Both LC variants are equally specced, with standard features including full LED lighting, glass panoramic roof, flush door handles, colour head-up display, two-zone climate control, new adaptive variable multi-link front and rear sports suspension and 21-inch forged alloy wheels with run-flat Michelin Pilot Super Sport tyres. 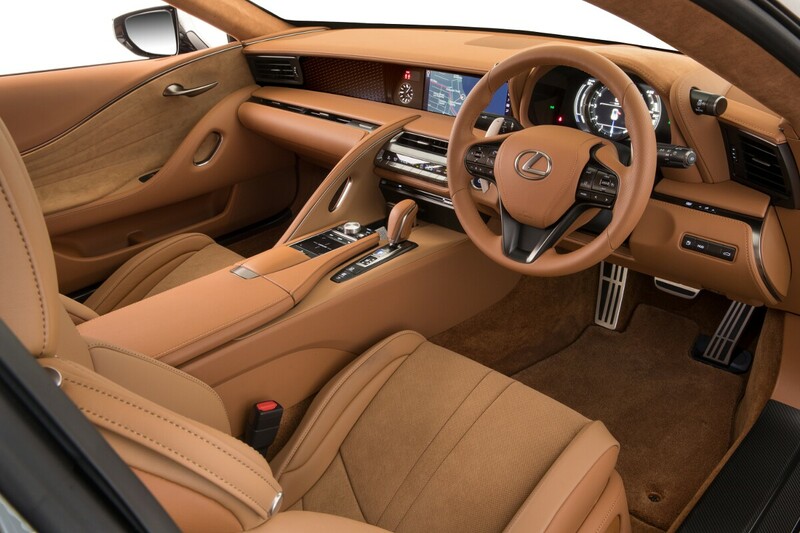 Owners will find in the LC one of the best and most luxurious interiors in class. It comes fitted with semi-aniline leather-accented upholstery, an LFA-inspired single instrument dial with an eight-inch multi-information display, heated and ventilated front seats with 12-way power adjustment and memory function, sports pedals, magnesium alloy paddle shifters, six drive modes, and stainless steel scuff plates. 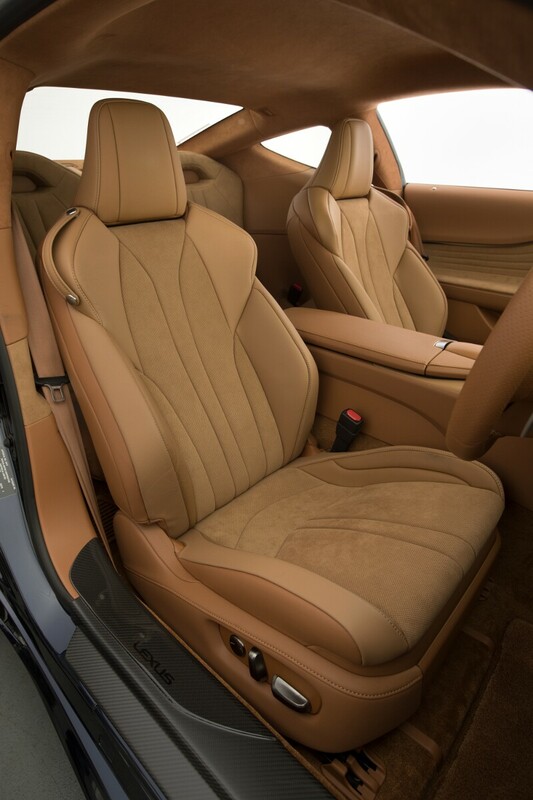 A bespoke Mark Levinson premium sound system was developed by specialists who measured sound frequencies throughout the cabin to determine the precise locations of the 918-watt system’s 13 speakers. 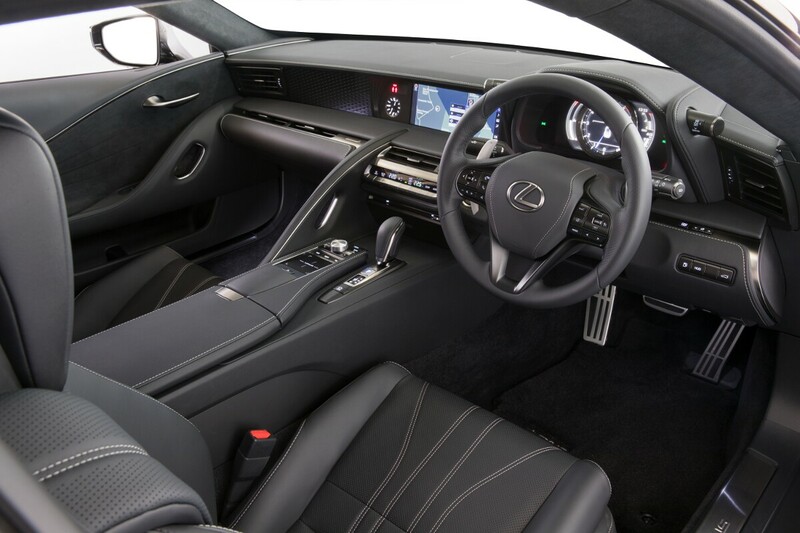 As with all Lexus vehicles, the seats in the LC were meticulously designed with advanced construction techniques for optimum support and dispersal of pressure. 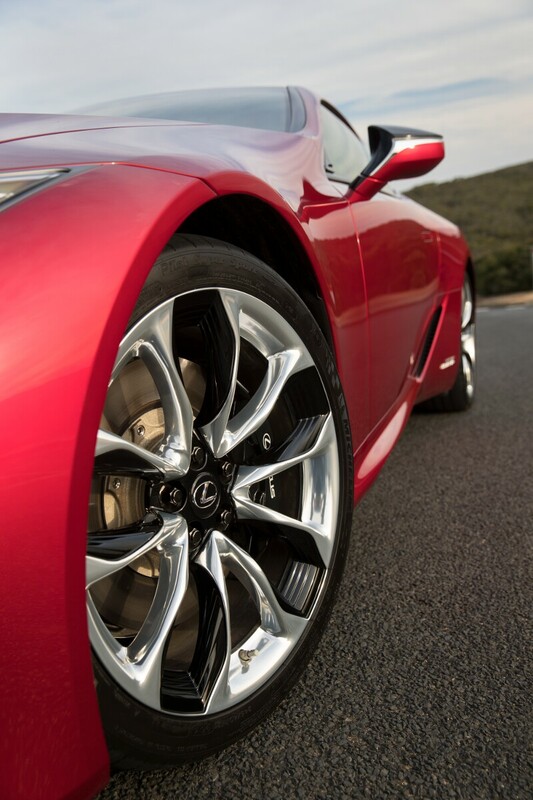 Lexus claims they were developed through an exhaustive 50 test cycles over two years. 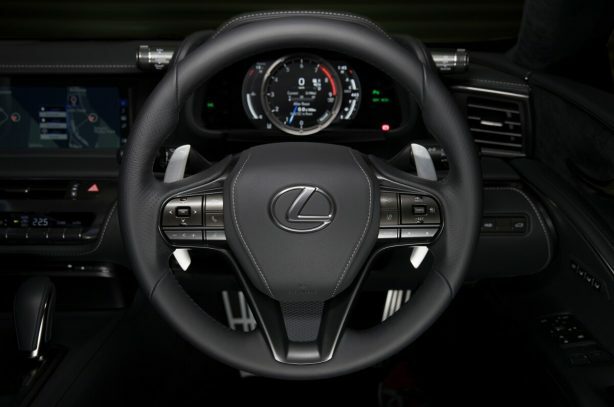 The ideal grip of the 365mm diameter steering wheel – the smallest in the Lexus range – was designed by Takumi craftsmen. The shift lever also benefits from a Takumi-developed in-stitch technique, slightly recessed metal surfaces and an incredibly small 2mm sewing margin. 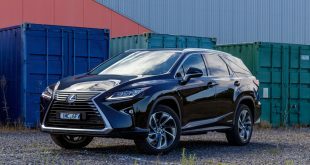 Customers who wish to add an extra performance focus can select a $15,000 enhancement pack featuring Lexus Dynamic Handling with technologies that incorporate four-wheel steering and variable gear ratio steering. 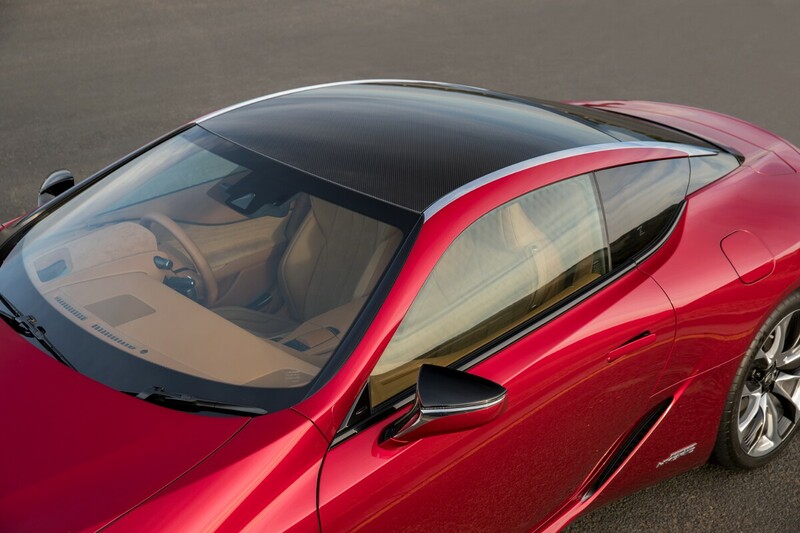 The pack includes an active rear spoiler that deploys automatically at 80km/h to manage airflow during performance driving, a carbon-fibre roof (in place of the glass roof), combination leather-accented and Alcantara upholstery, 10-way power-adjustable sports front seats and carbon-fibre scuff plates. 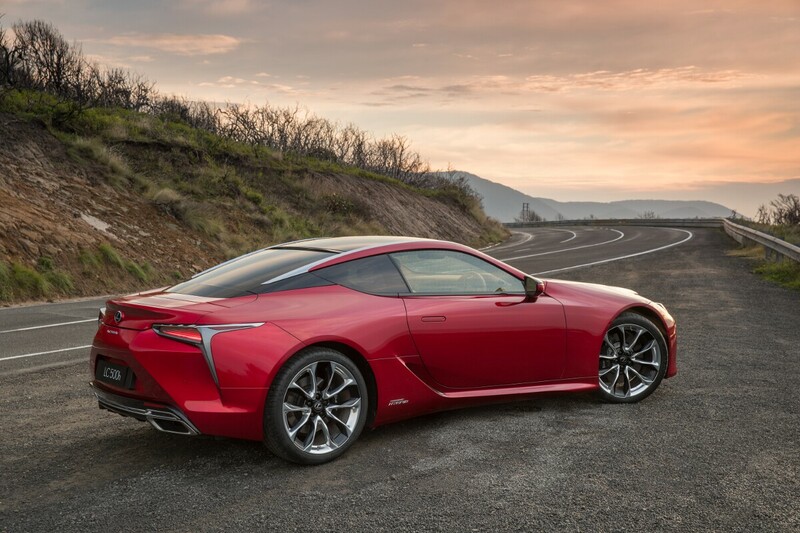 The LC 500h also gains a limited-slip differential, which is standard on the V8 LC 500. 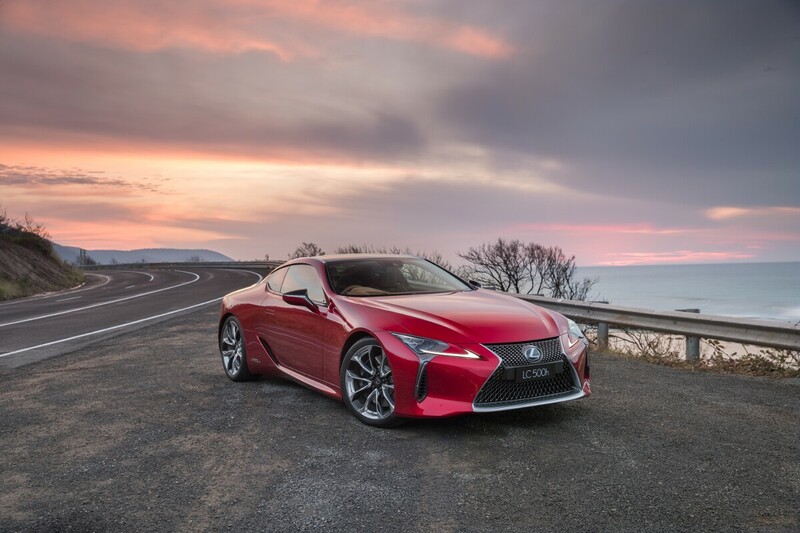 The all-new 2018 Lexus LC 500 and LC 500h is now available from local dealerships.